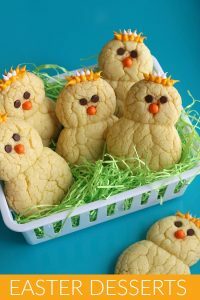 Every year as Spring approaches, we begin to think of the Easter celebration. The egg – a symbol of new life – is a big part of Easter. 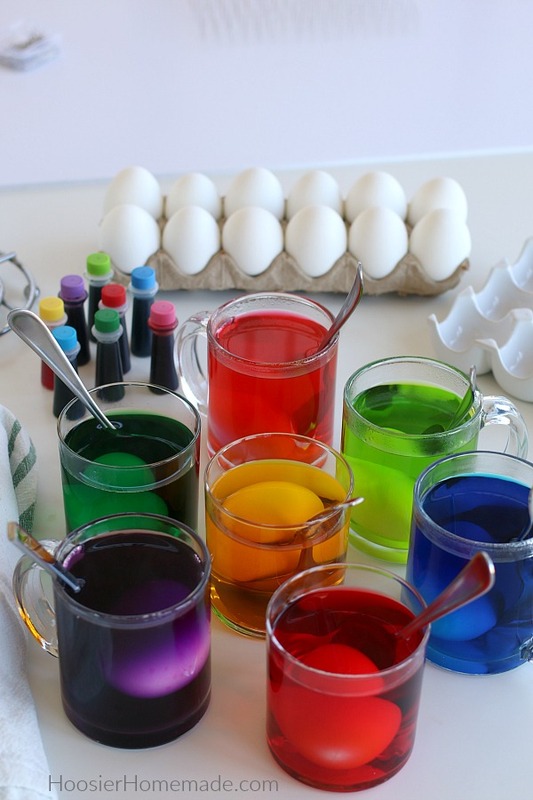 You will learn how to dye Easter eggs including decorating ideas, and different ways to color eggs, while keeping it simple and fun for your family. I have learned over the years, that creating memories with the family doesn’t need to be complicated or take a lot of time or money. Coloring Easter eggs is one of those Easter traditions that I look forward to every year. Up until this year, we always used the box of coloring from the store, mostly because that is what I grew up with. 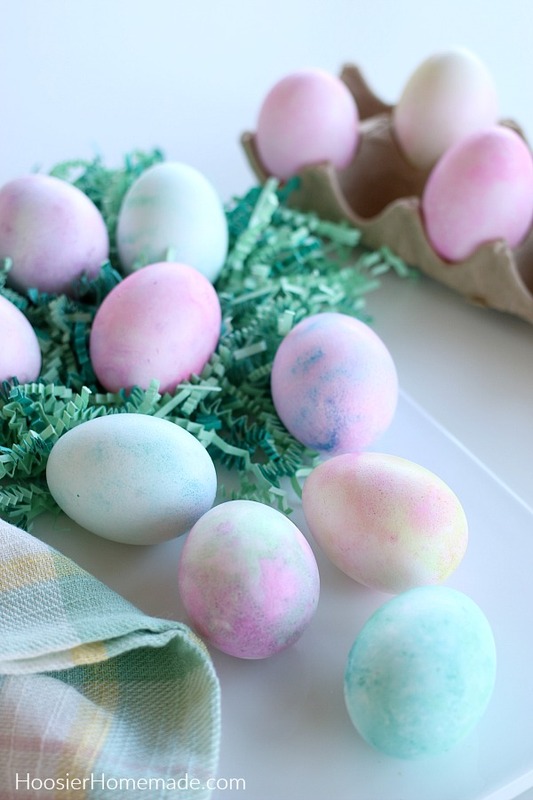 We just used the tablets of coloring for an easy way to dye Easter eggs. However, this year, I decided to try a couple different new ways. 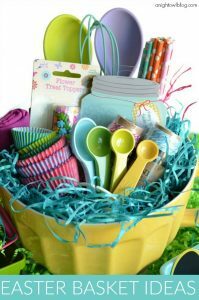 There are many Easter egg ideas – shaving cream Easter eggs, Easter eggs with Cool Whip, natural Easter eggs, Easter eggs with Kool Aid, and then display the colored eggs with these Easter Egg Printables. 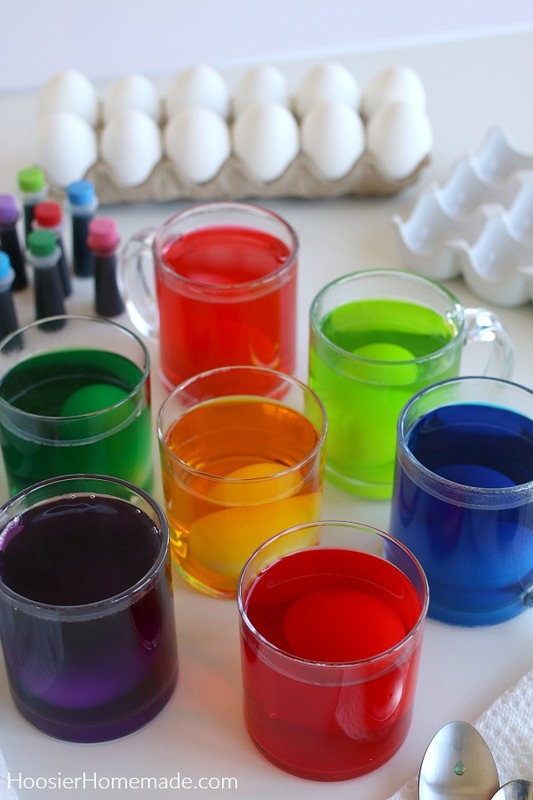 Today we are learning how to dye Easter eggs with food coloring. 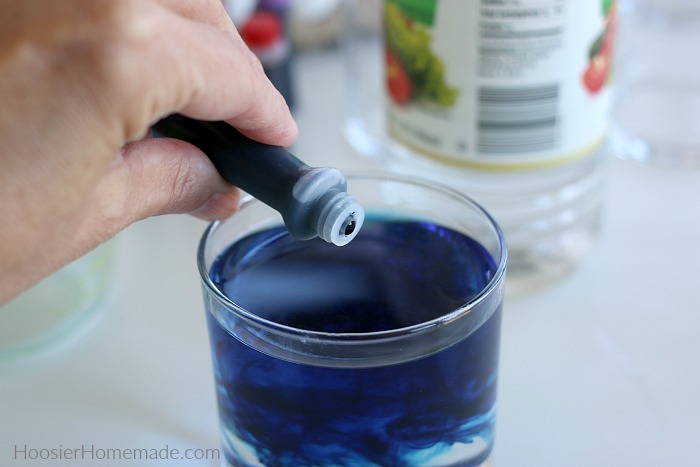 It’s super easy, inexpensive and the family will have memories for years to come of coloring eggs. 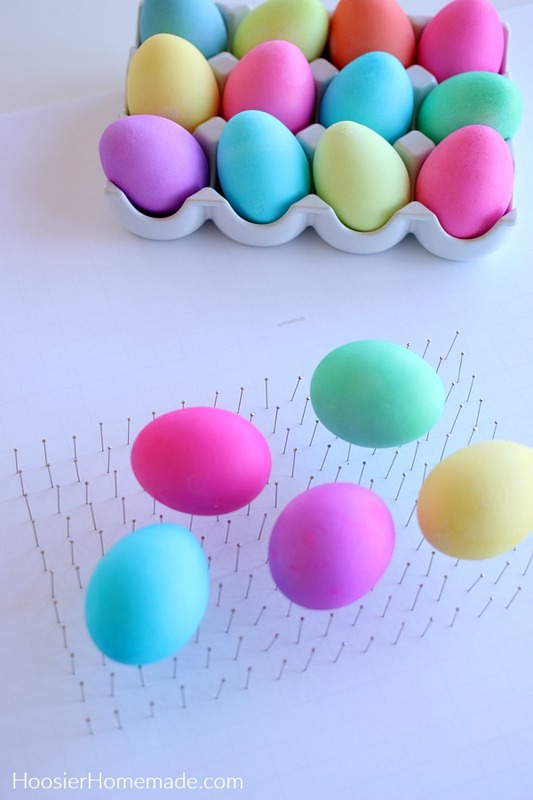 The ideas are endless for decorating the eggs. You can get creative with string, or tape, use markers, rubber bands and much more. 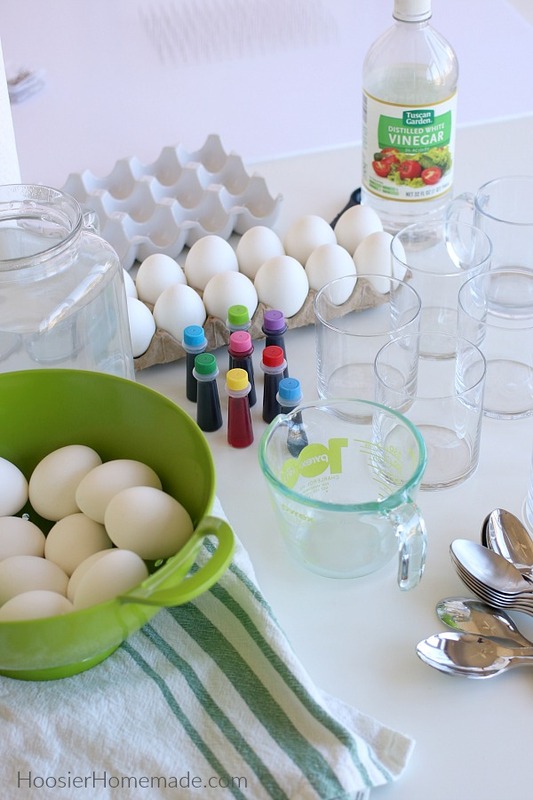 Tip #1: Learn how to boil eggs for Easter – and beyond. They will turn out perfect every time. 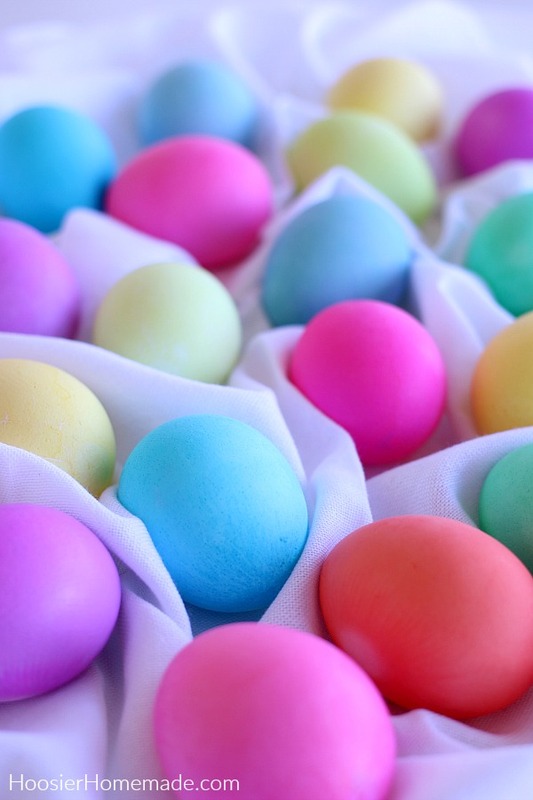 Tip #2: Get the eggs ready by boiling them several hours or the night before you plan on coloring the eggs. Nothing is worse then having the kids excited about coloring eggs, and then needing to wait until they cool. Tip #4: Take your time! 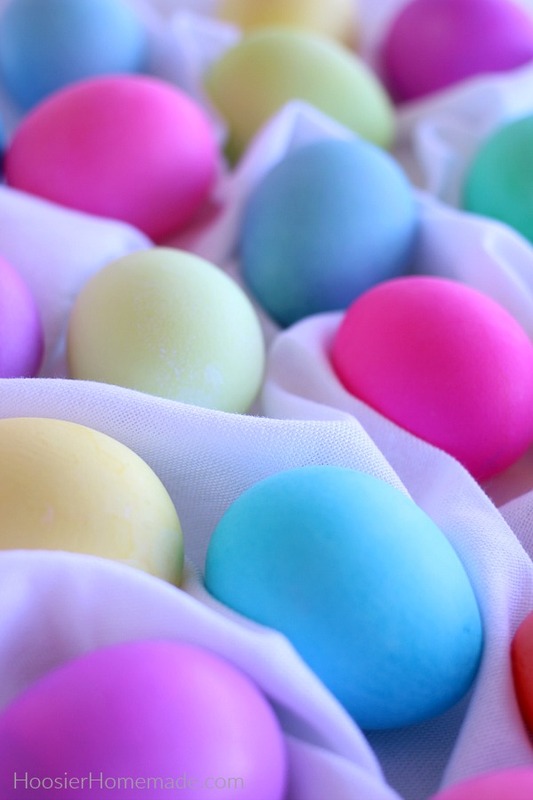 The key to beautifully colored Easter eggs is taking your time. Removing the eggs from the coloring too soon can leave you with dull looking eggs. 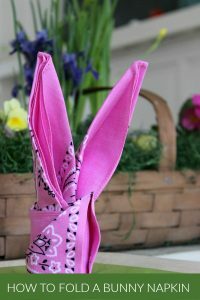 Tip #5: Cover the table with paper towel, newspapers or towels to catch any spills. Tip #6: Keep the egg cartons to store the eggs in the refrigerator when you are done. 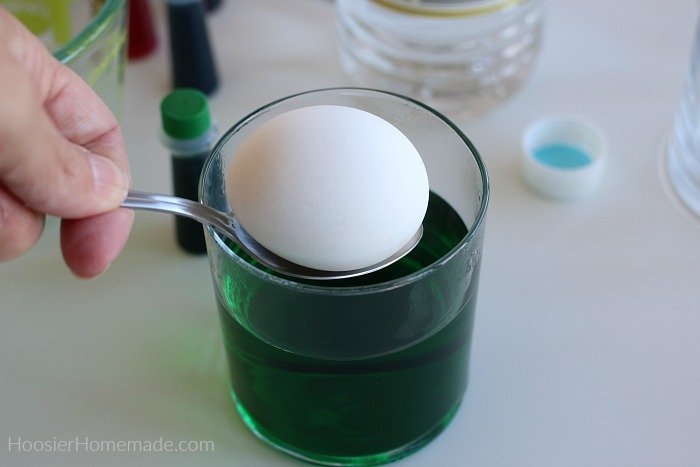 Lower the egg carefully into the colored water. 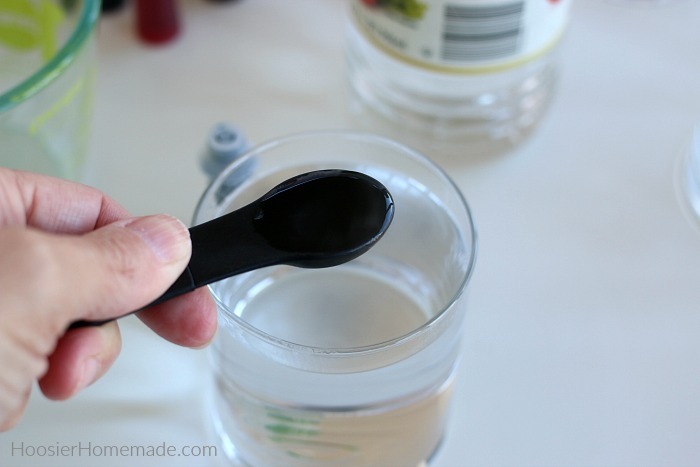 Be sure the water is completely covering the egg. Let the eggs soak until you get the desired color. The longer you leave them, the darker they will be. You can dry the eggs a number of ways. This time I decided to give this drying rack a try because in the past, the colored eggs would get a spot on them from laying on the paper towel. 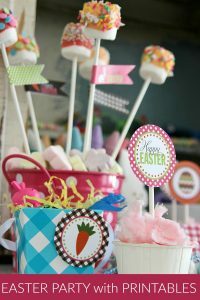 Easter eggs are a big part of the Easter celebration. To many of us, they bring fond memories of coloring eggs when we were young. The egg has many symbols, the most common is the ancient symbol of new life. And for Christians, the egg represents Jesus’ emergence from the tomb and resurrection. 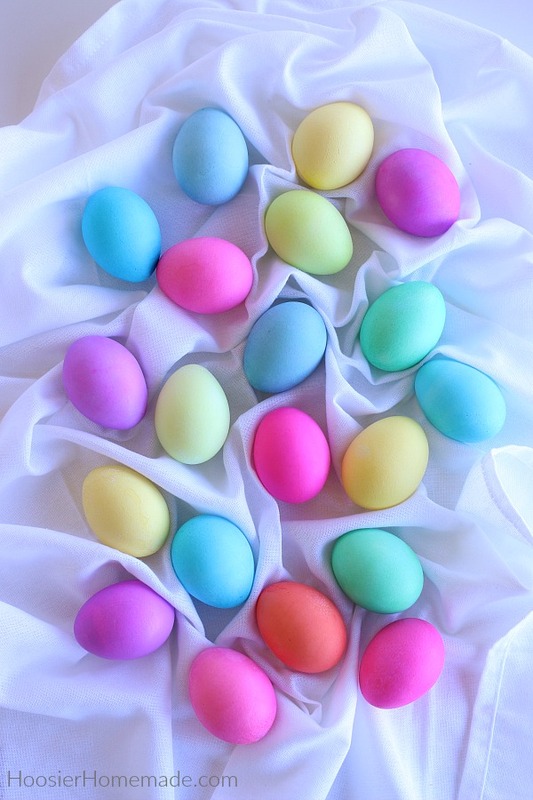 These traditional colored Easter eggs pre-date Christianity. In many other cultures, the symbol of the egg means new life, fertility and rebirth. The Huff Post tells the story that for thousands of years, Iranians and others have decorated eggs on their New Year that falls on the Spring equinox. 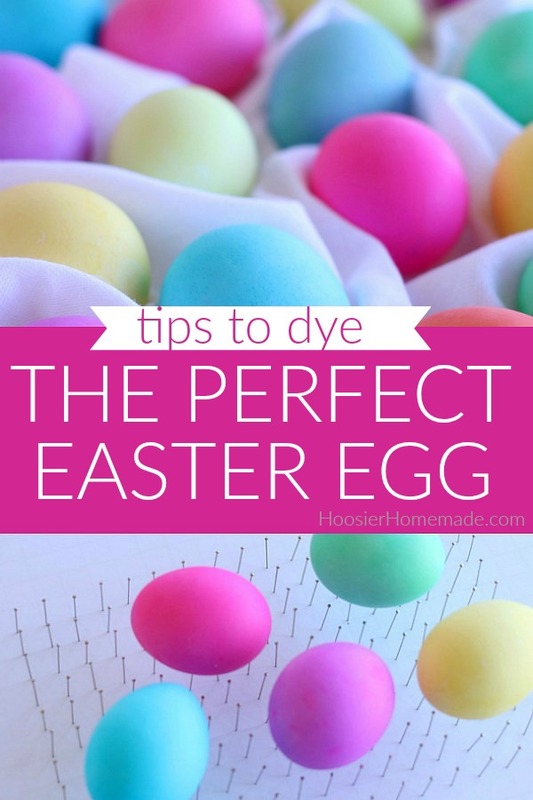 Looking for more ideas on how to dye Easter eggs? 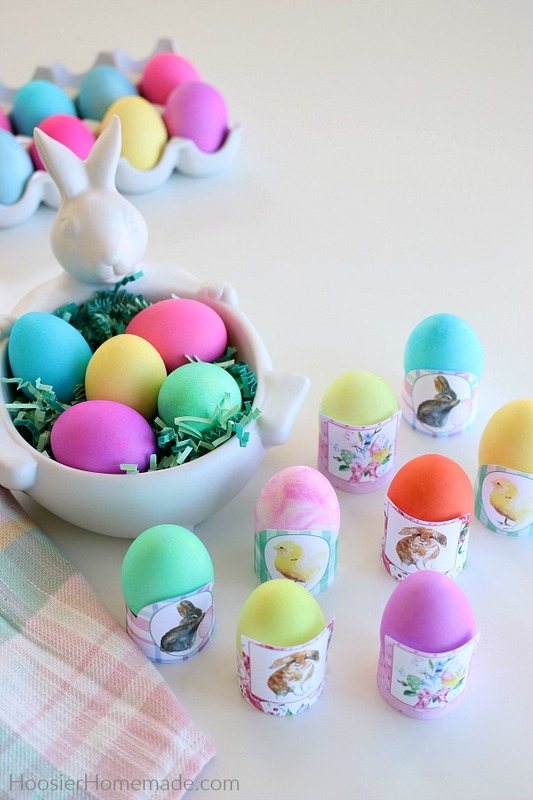 These Shaving Cream Easter Eggs are fun and easy to create. After the Easter eggs are all colored, display them in these adorable Easter Egg Printables – they are FREE! 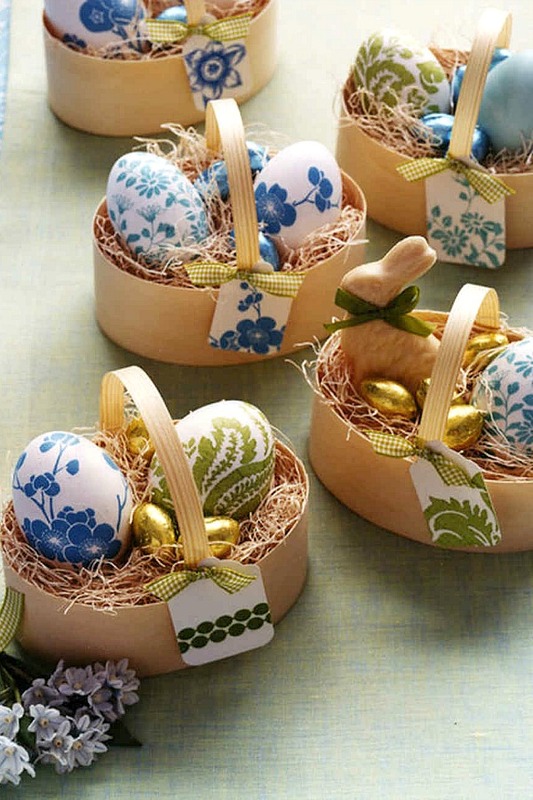 These gorgeous decorated Easter eggs use paper napkins. You can learn about more decorated Easter eggs.